The boy portrayed here is feeding his small tamed bird sitting on his shoulder. Aside from adding liveliness to the picture, there might be a symbolic meaning in regard to the ways that a child can learn and be educated. The boy looks at the viewer with serious and intelligent eyes. He is the thirteen-year old grandson of the painter. His (light blue) velvet jacket and his white shirt indicate that he his a child of affluent parents. His curly hair is powdered and bound to the usual braid of his time. It was a rather arduous procedure until the ideal of beauty was reached, as Ernst Moritz Arndt remembers: "It often took a full hour until the braid was stiffened, the toupee was straightened with wax, powder and needles. One was bombarded with wax and pomade until bright tears ran over your cheek." Antoine Pesne was educated by his father, the portrait painter Thomas Pesne, in Paris. In the year 1710, he became first painter at the Prussian court of Friedrich I, Friedrich Wilhelm I and Friedrich II. A famous portrait of Friedrich II as a child with his sister Wilhelmine can be seen in the Charlottenburg castle in Berlin. 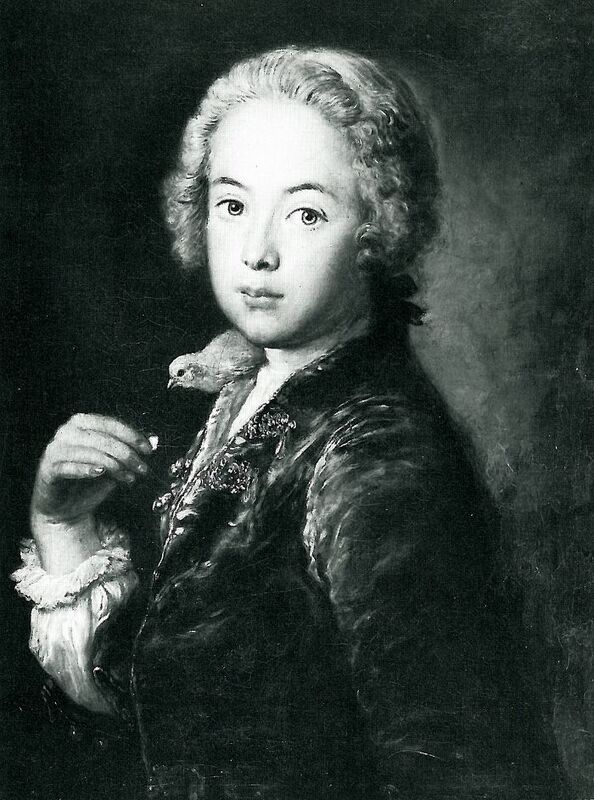 Pesne, who also was head of the Berlin Art Academy since 1722, became famous for the warmth of his human portraits and the brilliant colourfulness of his paintings that were also rich in contrast. His portraits were influential for his contemporaries of Berlin portrait art in regard to his sense of closeness to reality. The painting above can be found in the Gemäldegalerie in Berlin.